Ribbon is an inexpensive way to dress things up. I've made hair bows with it, decorated towels, embellished dresses and even used it to hang things up on the wall. I have a decent size collection of ribbon and was running into issues storing it. The spools that it comes on are bulky and they were taking up a lot of space. It was also difficult to see what I had when I was looking. 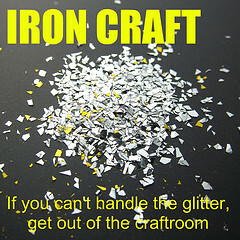 So I did what most crafters these days do. I googled! I found special ribbon storage boxes (too expensive for the amount that I had, still bulky and most of them would lend to tangling unless you're really careful because the ends of the ribbon hang out). I found people using paper towel holders or dowel rods through the center of the rolls. That would work great if I worked where I stored my ribbon, but I usually work in my living room and I store my ribbon in the basement. So that would mean that I'd either need to pull off lengths and cut it down there, or take half the spools off the dowel to get to the one in the middle so I could take it upstairs, not ideal. Then I saw this idea for wrapping it around the springless clothes pins. That was more like what I was looking for! Compact, portable, and inexpensive. Then I tried it. It was ok, but most of my ribbons didn't lend themselves to wrapping around the clothes pin and those that did, were difficult to keep put once it was on there (they had a tendency to unroll even when pinned). In my Googling, I ran across someone (I think in a comment on one of the other storage methods) who wrapped their ribbon around cardboard they'd cut to the size of their drawer. So, that's what I did. I've wrapped them around cardboard and pinned the end so it doesn't unravel and I keep all the pieces of cardboard in a drawer in one of those three drawer rubber maid storage carts. I can now carry the ribbon I want to where I'm working on it. I can easily see what I've got. Before the drawer was pretty much full of ribbon and hard to open and close. 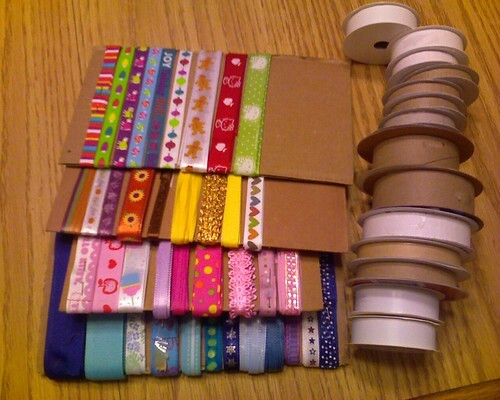 Now the ribbon only takes up about a quarter of the space, so I've got room for more! This is definitely working for me! 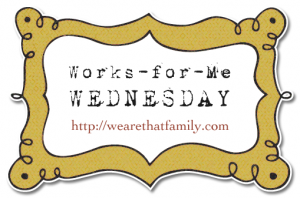 For more great tips head over to We Are That Family and Today's Works for Me Wednesday Post!